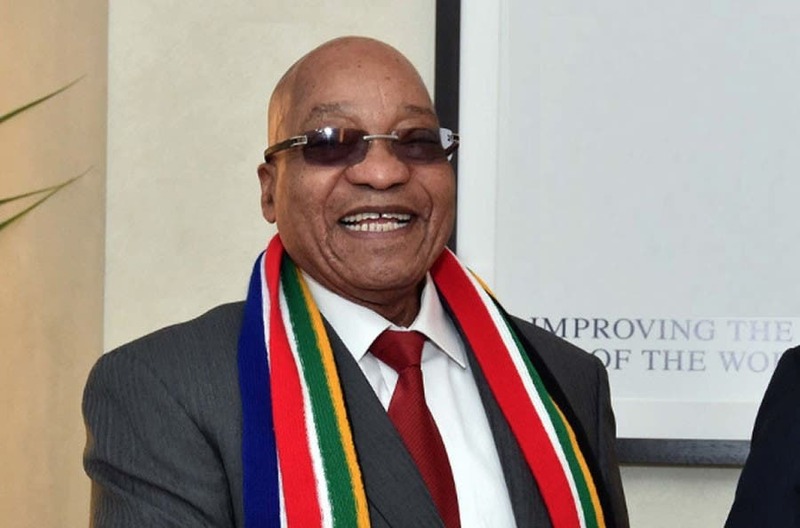 After all the jokes, the marches, the petitions and the videos – it appears that President Jacob Zuma has made the first step towards possibly paying back some of the South African tax payers’ money that was used to fund renovations at his private Nkandla residence. The news broke late Tuesday night in South Africa with #Nkandla immediately trending at the number one spot on Twitter. The letter has been sent by the president’s attorney to the Registrar of the Constitutional Court (Concourt) and copied to lawyers representing the EFF, the Public Protector and the DA. 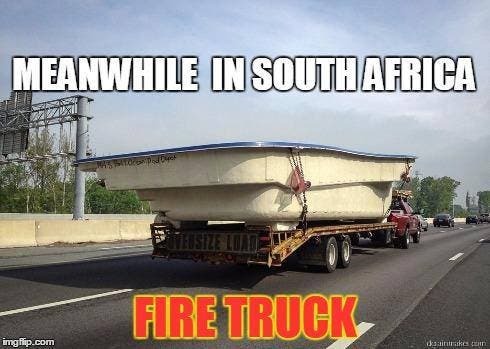 It indicates that the South African president would like to assess the costs of non-security upgrades that were made to his homestead, and repay them out of his own pocket. The proposal by the State Attorney comes a week before a court case, initiated by the EFF, was due to be held at the Consitutional Court. 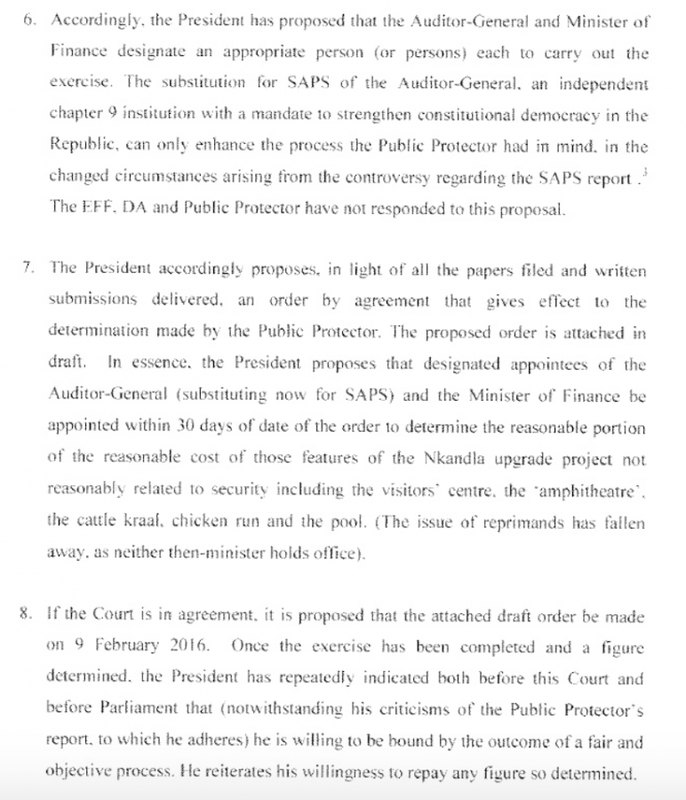 The case – due on 9 February – is in regards to the R246-million Nkandla expenditures and President Zuma not adhering to recommendations made by Public Protector Thuli Madonsela in her “Secure in Comfort” document, in which she found Zuma was liable for certain non-security features (including a swimming pool) to his home. Last year Police Minister Nkosinathi Nhleko refuted Madonsela’s findings and instead published a report finding the president was not liable for the costs, going to great lengths to justify his decision… which spawned many jokes. The police minister concluded in his report that contrary to Madonsela’s findings, the “firepool”, new cattle kraal, chicken coop, amphitheatre and visitors’ centre were all necessary for the safety and security of the homestead. He even presented a video demonstration on how to use a firepool! But – with SONA 2016 coming up on 11 February (which the EFF threatened to disrupt again), a planned #PayBackTheMoney march by the EFF in a few days time, and the planned hearing at Concourt next week – President Zuma seems to be finally taking an about turn. The president’s lawyers have now proposed that the figure to pay, for Nkandla’s non-security upgrades, should be “independently and impartially determined” by the Auditor General, with the assistance of the Minister of Finance. In the document it says he believes this proposal allows for the promotion again of “nation-building and unity in South Africa”. EFF leader Julius Malema will be holding a press briefing on Thursday, 4 February 2016. One of the many videos that was produced regarding the Nkandla controversy. Next articleWATCH Baby Rhino Chasing the Birds. For Roger.